Ng Tung Chai, July 2008. 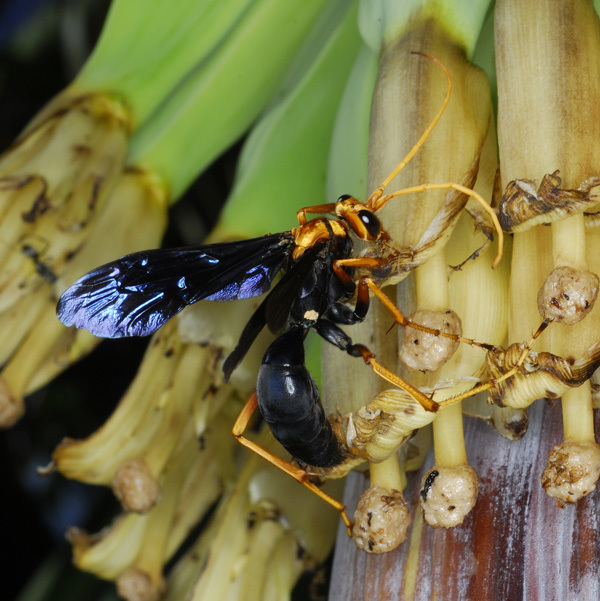 A female foraging on flowers of Musa paradisiaca (banana). 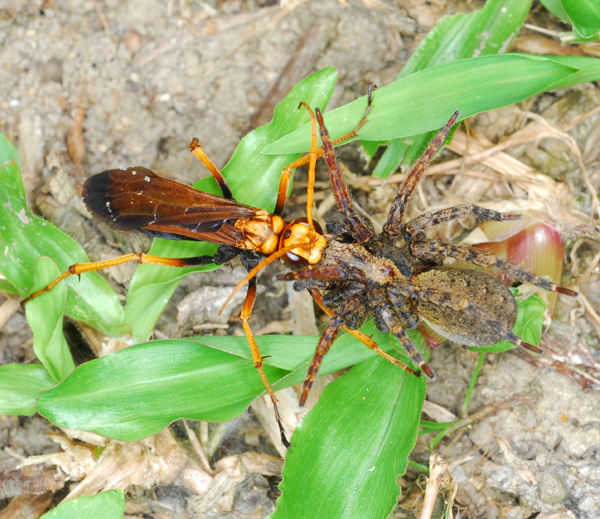 L. bipartitus is the largest Pompilidae in HK reaching sometimes impressive dimensions of up to 50mm in lenght. July 2006, Sai Kung Country Park. A female dragging its paralysed prey. She will soon burry it in a shallow excavation, lay one egg and close the cavity. All Pompilid provision a single prey per cell.